The injectable Type 2 diabetes drug Victoza works by stimulating insulin production. It belongs to a class of drugs called GLP-1 mimetics. Studies link Victoza to pancreatitis, thyroid cancer and pancreatic cancer. Victoza (liraglutide) is a once-a-day drug manufactured by Novo Nordisk. The Food and Drug Administration (FDA) approved the drug in January 2010. Novo Nordisk also manufactures another drug called Saxenda. Like Victoza, it is also a liraglutide injection. But Saxenda is indicated for weight management and is not indicated for treating Type 2 diabetes. Though it is effective in controlling blood sugar, Victoza may be linked to dangerous side effects, including pancreatitis and thyroid cancer. 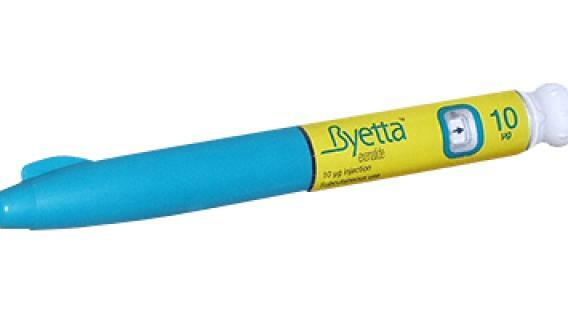 Victoza is similar to Amylin Pharmaceuticals’ injectable diabetes drug Byetta (exenatide) in that it aims to lower blood sugar by mimicking a hormone called GLP-1. As of March 2013, almost 1 million Americans had taken Victoza, and the drug remains the market leader in GLP-1 mimetics. Worldwide Victoza sales for 2012 topped out at $1.7 billion, accounting for more than 12 percent of Novo Nordisk’s full-year sales. By 2016, the company reported U.S. sales of over $2 billion. A month’s supply of Victoza, at the average dose, costs about $500 without insurance; in comparison, Byetta costs about $170 per month. Celebrity chef Paula Deen was a spokeswoman for Victoza until June 2013, when Novo Nordisk cut ties with her after she admitted to having used racist language. She originally signed a $6 million, two-year contract. Victoza works by stimulating natural insulin production in the pancreas. Along with a healthy diet and exercise routine, the drug effectively reduces blood sugar. Victoza can be used in combination with oral diabetes medications such as Actos, Avandia, Amaryl (glimepiride) and metformin but may impact the absorption of these drugs since it delays gastric emptying. Victoza is not an insulin product. It is 97 percent similar to a bodily hormone called GLP-1 (glucagon-like peptide-1). This hormone affects the liver, pancreas and gut and helps control glucose, insulin and gastric emptying. When a person eats, the small intestine releases this hormone, which helps the pancreas release the appropriate amount of insulin to help regulate blood sugar. More specifically, GLP-1 activates pancreatic cells called beta cells that make insulin. By mimicking GLP-1, Victoza signals the pancreas to create more insulin. Insulin is a hormone made in the pancreas and released into the blood. It plays a significant role in metabolism, or the way the body uses food for energy. After carbohydrates, such as sugars and starches found in many foods we eat, are broken down by the digestive tract into glucose (a form of sugar) it enters the bloodstream, where insulin helps cells in the body absorb it for energy. The hormone insulin is a main regulator of the glucose (sugar) levels in the blood. When the amount of glucose in a person’s blood rises after a meal, the pancreas releases insulin into the blood to assist muscle, fat and liver cells to absorb the glucose thereby lowering blood glucose levels in the body. Excess glucose is then stored by liver and muscle tissue, where it becomes glycogen. Insulin also lowers blood glucose levels by reducing the production of glucose in the liver. When insulin resistance occurs, the body’s cells do not respond properly to the hormone, and they are unable to easily absorb glucose from the bloodstream. This results in the body needing higher levels of insulin to help glucose enter the cells. 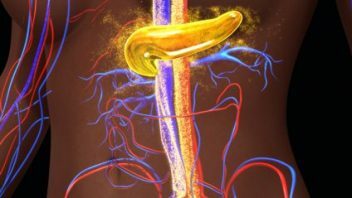 When special cells in the pancreas called beta cells cannot keep up with the increased demand for insulin, excess glucose builds up in the bloodstream leading to the development of type 2 diabetes. Medications that work to stimulate the production of the much-needed insulin can help patients with type 2 diabetes to better process blood sugar and prevent long-term complications of the disease. If patients are taking Victoza with insulin, they should inject each drug separately and never mix the two solutions. During one 52-week clinical trial, 6,090 patients who received Victoza once a day as a stand-alone treatment saw a 1.1 percent decrease in A1C (which measures the average glucose concentration over a two- to three-month period) when taking 1.8 mg of the drug; patients taking 1.2 mg averaged a 0.8 percent decrease. For people with Type 2 diabetes, an A1C level of 7 percent or less is ideal, though some doctors may allow a level of 8 percent. Even a 1 percent drop can make a difference for people trying to control their blood sugar. While weight loss is not a primary goal for people taking Victoza, it may be a benefit for controlling blood sugar. Patients lost an average 5.5 pounds with a 1.8 mg dosage; for patients taking a 1.2 mg dosage, the average weight loss was 4.6 pounds. Victoza also helped lower fasting blood glucose in people with Type 2 diabetes. A normal fasting blood glucose (fasting blood sugar level) is between 70 mg and 100 mg. In people with Type 2 diabetes, these levels are much higher. Controlling blood glucose can help prevent complications of diabetes such as cardiovascular disease. Another 52-week trial found that patients experienced about a 20 percent reduction in FPG (fasting glucose level) when taking 1.8 mg of Victoza daily, while blood-glucose levels in patients taking 1.2 mg dropped about 16 percent. The FPG levels began to decline within two weeks. Victoza reduced the risk of heart attack, stroke and death from cardiovascular issues by about 13 percent in patients with Type 2 diabetes. In a 2016 study published in the New England Journal of Medicine by Steven P. Marso and colleagues, researchers found that Victoza reduced the risk of heart attack, stroke and death from cardiovascular issues by about 13 percent in patients with Type 2 diabetes. In clinical trials for Victoza-related side effects, Novo Nordisk gathered data from 1,673 patients. The average age of trial participants was 58 years, and the majority of participants were white males. Trial participants took Victoza for about 37 weeks. The most common side effects occurred in 5 percent or more of study participants. Side effects increased with the highest dose of the drug. The Institute for Safe Medication Practices (ISMP) reported that the FDA’s clinical safety reviewer originally voted against approving the drug because of its link to thyroid tumors, insufficient study to rule out increased heart attack and stroke risk, as well as an increased risk for pancreatitis. In 2011, the FDA published a warning that doctors weren’t fully aware of thyroid risks associated with Victoza. That notice also mentioned that clinical trials suggested an increased risk of pancreatitis in Victoza patients. Novo Nordisk found that Victoza causes tumors of the thyroid gland in rats, including malignant tumors. 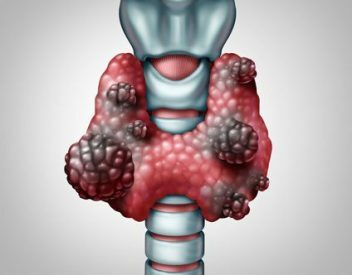 Since the drug is fairly new and since thyroid cancer is rare in humans, the FDA has stated that it’s difficult to say whether the drug can cause thyroid cancer in humans. However, Victoza does come with a black-box label that warns of the risk of thyroid C-cell tumors and possible thyroid cancer. Is Victoza Safe for Me? Victoza has several contraindications that patients should speak with their doctors about before taking the drug. The drug’s label and the FDA warn that people with a personal or family history of thyroid cancer or Multiple Endocrine Neoplasia syndrome type 2 should not take Victoza.